Philippines based Atlantic Gulf and Pacific company bags 9 licenses in 10th City Gas Distribution bidding. Atlantic Gulf & Pacific Company of Manila (AG&P), a leading global gas logistics company, has emerged as a dominant LNG player in South India, securing nine licenses in the 10th round auction of City Gas Distribution (CGD) concessions by the Petroleum & Natural Gas Regulatory Board (PNGRB). AGP will provide piped gas in 9 districts of South India and will establish more than 1000 CNG stations. 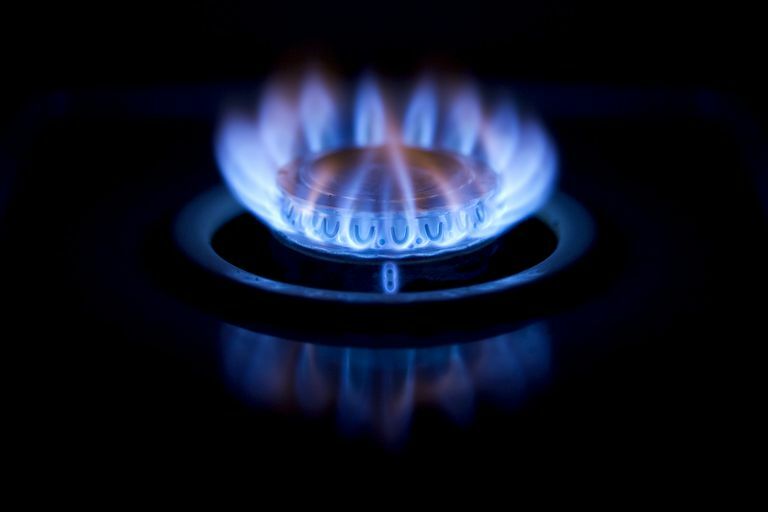 AG&P is only one of two foreign companies to secure the coveted agreements to deliver natural gas directly to the residential, commercial, industrial and transport sectors in some of India’s most densely populated states. 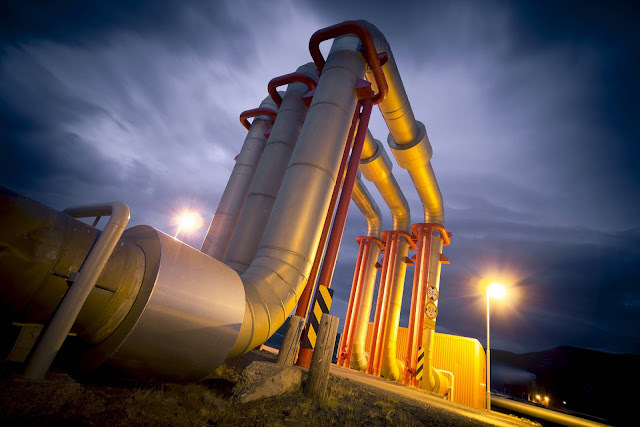 AG&P’s 25-year exclusive rights cover natural gas pipelines to residential users, supply for commercial establishments and CNG stations for cars, buses and trucks in Andhra Pradesh, Tamil Nadu, Kerala, Karnataka and Rajasthan. The districts are home to the automobile, chemical, fertilizer, glass, steel, ceramics, food and pharmaceutical industries as well as major commercial centres. AG&P will build compressed natural gas stations, supported by steel pipelines and delivery of LNG by truck. Through its CGD networks, AG&P will bring significant foreign direct investment and generate direct and indirect employment across the country. The construction and operation of AG&P’s CGD networks will create thousands of local jobs. Like all AG&P employees, these workers will be trained to the highest international standards of safety and technical excellence. The cheaper supplies of natural gas will be made available by the Honourable Government of India for domestic and vehicular needs. The commercial and industrial sector needs will be secured through uninterrupted imported LNG supplies, channelled through commissioned and upcoming LNG terminals. “AG&P Group, a 119-year young multinational, with operation headquarters in Manila, Philippines has arrived in the Indian sub-continent with a vision of supporting the growth and development of India’s ever-growing energy needs and to touch the lives of millions of people. As a global player, we understand and value the responsibility and commitment entrusted to us for shouldering the infrastructure development to meet these energy needs with international best practices in safety, technology, conserving the environment, efficient and cost-effective energy solutions,” - Mr. PPG Sarma, Managing Director, City Gas Distribution & Logistics. Andhra Pradesh: Anantapur, Cuddapah, Nellore, Chittoor. Karnataka: Kolar, Bagalkot, Kopal, Raichur, Chikmaggaluru, Hassan, Kodagu, Gulbarga, Vijaypura, Mysure, Mandya, Chamarajnagar, Uttara Kannada, Haveri, Shivamogga. Tamil Nadu: Vellore, Ramanathapuram, Kanchipuram. Rajasthan (North West India): Barmer, Jaisalmer and Jodhpur. Once operational, AG&P’s CGD networks will accelerate industrialization, drive further economic development and overall, improve the quality of life of millions of Indians, while helping lay the foundations for the delivery of India’s goal of a clean energy future. 10th CGD bidding will bring clean cooking fuel and cheap CNG in 50 districts of India which would further enhance safe cooking and viable transportation. The New Development Bank (NDB), a multilateral finance institution established by Brazil, Russia, India, China and South Africa (BRICS) in 2014, plans to almost double its loan book to USD 16 billion this year and increase its impact, as the Bank seeks to broaden its global development partnerships and mobilise more institutional and private capital. These announcements were made at the 4th Annual Meeting of the NDB in Cape Town, South Africa which brought together senior government officials from BRICS countries, leaders of multilateral and national development institutions, distinguished scholars, prominent commercial bankers, captains of industry and representatives of civil society organizations. NDB is headed by renowned Indian banker Shri KV Kamath. In his keynote speech, he mentioned that in the year 2019 New Development Bank will build on the strong momentum in its operations with an aims to double its loan approval book to about USD 16 billion. The Bank will ramp up its hard currency financing from the international capital markets. 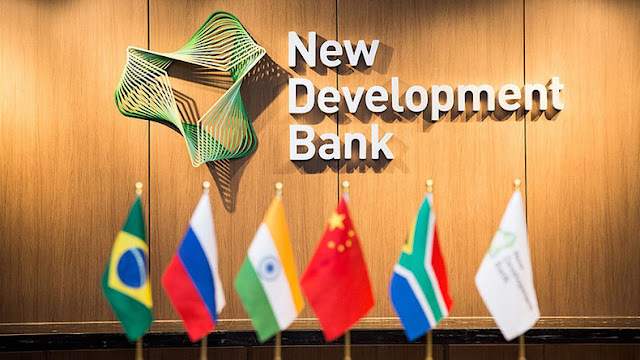 The NDB has approved five additional projects with loans aggregating to approximately USD 1.2 billion, two in China and three in South Africa, taking its total loan book to USD 9.2 billion as of today. These five new projects include RMB 825 million (USD 123 million) for the Shengzhou Urban and Rural Integrated Water Supply and Sanitation Project (Phase II); USD 300 million for the Guangxi Chongzuo Urban Water System Ecological Restoration Project; USD 480 million to Eskom for the Environmental Protection Project at Medupi Thermal Power Plant; ZAR 1.15 billion (USD 80 million) to the Industrial Development Corporation (IDC) for its Renewable Energy Sector Development Project; and ZAR 3.2 billion (USD 220 million) to South Africa's Trans Caledon Tunnel Authority (TCTA) for work on the Lesotho Highlands Water Project (Phase II). In India, the New Development Bank has financed an ambitious Mumbai Metro Line 2B (DN Nagar - Mankhurd) prItst. It's loan book to India include Rural Road, Bridges and Water Supply projects in the states of Madhya Pradesh, Bihar and Rajasthan. NDB has also approved a Renewable Energy Financing Scheme of USD 250 million with Canara Bank. 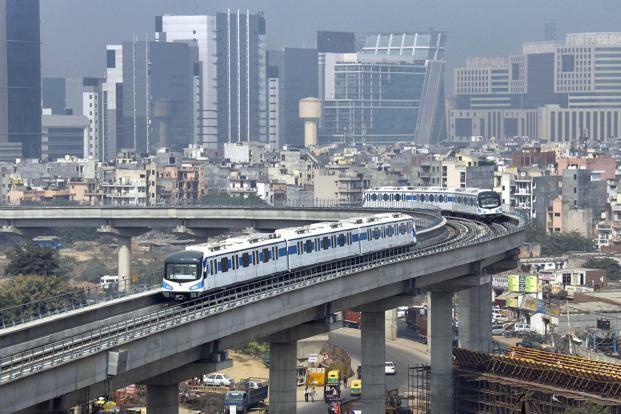 New Development Bank has principally approved a loan to Mumbai Metropolitan Region Development Authority for the financing of Mumbai Metro Line 8 (Chhatrapati Shivaji International Airport - Navi Mumbai International Airport), Line 10 (Gaimukh - Shivaji Chowk) and Line 11 (Wadala - GPO). Other proposed loans to India include USD 224 million for 8km Brahmaputra bridge in Guwahati, Assam. The NDB now plans to open additional regional offices in Brazil and Russia and is considering opening an Indian regional office in due course. Global lender, Asian Development Bank has predicted 7.2% GDP Growth for India in the fiscal year 2019. Strong domestic demand would ensure that India will be the fastest growing economy in the world. Recent policy measures by the Modi government will improve the investment climate and boost private consumption and investment will help India to lift economic growth in the next two fiscal years, according to a new report from the Asian Development Bank (ADB). Income support to farmers, hikes in procurement prices for food grains, and tax relief to tax payers earning less than Rs 500,000 will boost household income. Declining fuel and food prices are also expected to provide an impetus for consumption. An increase in utilization of production capacity by firms, along with falling levels of stressed assets held by banks and easing of credit restrictions on certain banks, is expected to help investment grow at a healthy rate. Popular schemes like PM Kisan Yojana may enhance domestic consumption further. India is today a bright spot in the world economy and it would continue to remain so with a high GDP growth rate. 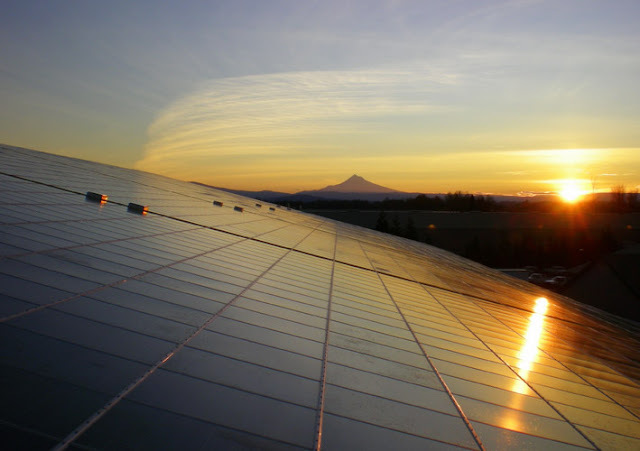 GAIL, BHEL sign pact for development of Solar based power projects. State-owned Gas utility GAIL India Limited has signed Memorandum of Understanding (MoU) with Bharat Heavy Industries Limited in New Delhi for cooperation in the development of solar-based power projects. GAIL shall be the project developer and BHEL shall act as an Engineering, Procurement, Construction and Project Management Contractor. BHEL shall also provide Operation and Maintenance services during the initial period upon becoming successful bidder. This development will help both the companies to leverage their competitive strengths to build a substantial portfolio in solar power projects in line with INDC targets of Government of India. The MOU aims at building a closer strategic partnership between the two Maharatna PSUs for jointly pursuing commercial solar power projects through participation in Tariff / Viability Gap Funding (VGF) based competitive bidding process. Speaking on the occasion, Shri Manoj Jain, Director (Business Development) stated “GAIL is a proud member of India’s clean energy infrastructure and is always committed to incorporate initiatives for sustainable development of the nation. We are happy to enter into this strategic relationship with BHEL, a pioneer in India’s Engineering sector. The skills and strengths of both the companies would create a synergy for achieving the objective of MoU." GAIL (India) Limited is India’s leading natural gas company with diversified interests across the natural gas value chain of trading, transmission, LPG production & transmission, LNG regasification, petrochemicals, city gas, E&P, etc. It owns and operates a network of around 11,400 km of high pressure trunk pipelines. It is working concurrently on multiple pipeline projects, aggregating over 5400 kms at an investment of about Rs. 24,000 crores, to operate over 16,000 kms by 2021. GAIL commands 75% market share in gas transmission and has a Gas trading share of over 50% in India. GAIL also has a formidable market share in City Gas Distribution and is currently operating in 38 cities/Geographical Areas directly and through its eight Joint ventures/ subsidiaries. In the Liquefied Natural Gas (LNG) market, GAIL has one of the largest portfolios in the world. GAIL has hired its first LNG vessel “Meridian Spirit" on time charter basis to transport US volumes to India. GAIL is also expanding its presence in renewable energy like solar and wind. In fact, it has India‘s second-largest rooftop solar PV power plant at its Petrochemical Complex at Pata, Uttar Pradesh. It has an overseas presence through offices and subsidiaries in the US, Singapore and Myanmar. BHEL is one of the few companies in the world, and only company in India, having capability to manufacture the entire range of Power plant equipment and has proven turnkey abilities for executing Power projects from concept to commissioning in the field of Thermal, Gas, Hydro and Nuclear. BHEL has also been in the field of design, engineering, manufacturing, installation and commissioning of solar power plants over three decades and has a portfolio of more than 700 MW. BHEL is the only company in India having manufacturing capability of almost entire range for Solar equipment i.e. Solar Cells, Solar Modules, SCADA, Inverters, Power Transformers, Switchgear and Modules Mounting Structures with tracking system. BHEL has a dedicated R&D centre for Solar PV at ASSCP, Gurgaon to develop high-efficiency Solar Cells and process optimization. Indian Oil and Bharat Petroleum consortium wins ADNOC deal. The Abu Dhabi National Oil Company (ADNOC) signed agreements awarding the exploration rights for Abu Dhabi Onshore Block 1 to a consortium of two Indian oil companies, Bharat Petroleum Corporation Limited and Indian Oil Corporation Limited. The award has been endorsed by Abu Dhabi’s Supreme Petroleum Council (SPC) and represents a further deepening of the fast-growing UAE-India energy relationship as well as the continued expansion of ADNOC’s strategic partnerships with those who can provide access to key growth markets for the company’s crude oil and products. 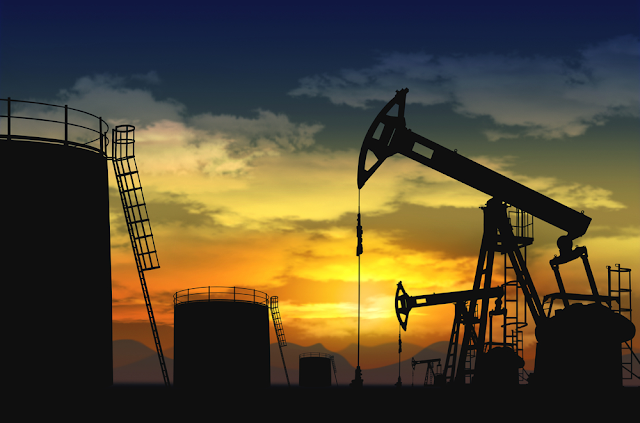 The consortium will hold a 100 percent stake in the exploration phase, investing up to AED 626 million (US 170 million), including a participation fee, to explore for and appraise oil and gas opportunities in the Block. Following successful exploration activities and appraisal of the existing discoveries, the Indian consortium will be granted the opportunity to develop and produce any discoveries. ADNOC has the option to hold a 60 percent stake in the production phase. H.E. Dr. Al Jaber of ADNOC said: “This award highlights the important role of energy cooperation in strengthening the strategic relationship between the UAE and India. It also underlines ADNOC’s 2030 smart growth strategy and our targeted approach to engage with value-add partners who can contribute the right combination of market-access, capital and technology, as we reinforce our position as an essential energy provider to the world. Siemens Financial Services to invest in 200MW Poovani Wind Power Project. A definitive agreement has been signed between the parties for equity investment. First investment by Siemens Financial Services (SFS) in a wind farm in Asia. The project involves installation of 100 units of Siemens Gamesa Renewable Energy’s SG 2.0 - 114 wind turbines in Tamil Nadu. The project forms part of Solar Energy Corporation of India Limited (SECI) Wind Power Tranche II. 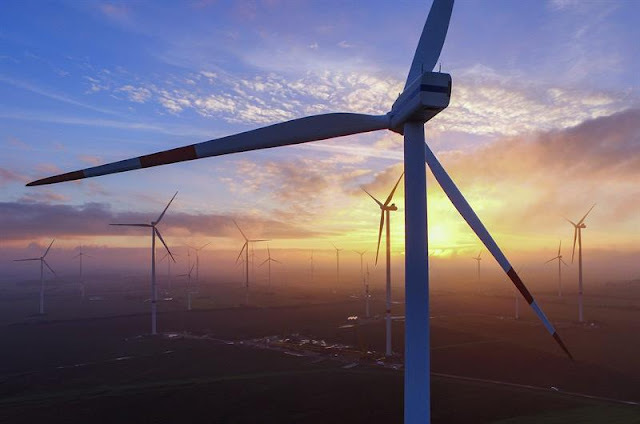 Greenko Group, India’s leading renewable energy player, has signed an agreement with Siemens Financial Services (SFS), the financing arm of Siemens AG, for an equity investment in its Poovani Wind Power project. The project is being developed in the state of Tamil Nadu and is backed by Solar Energy Corporation of India Limited (SECI), Central Public Sector Undertaking under the Ministry of New and Renewable Energy, Government of India. As per the agreement, SFS has agreed to take a 46% equity stake in the 200 MW wind power project. Siemens Gamesa Renewable Energy is involved in installing the entire infrastructure for the wind farm, including supply, erection and commissioning of 100 units of SG2.0 – 114 wind turbines with a hub height of 106 m, specifically designed for low wind sites in India. Clean and affordable energy generated from this project will offset approximately 651,000 tonnes of CO2e from environment and electrify approximately 155,000 households annually. The project will be connected to the central transmission system of India, which will enable inter-state flow of energy from a renewable resource rich state and enable other states comply with their renewable purchase obligations and secure long-term renewable energy supply at a fixed price. Brookefield-led India Infrastructure Trust (InvIT) to acquire East West gas pipeline for Rs 13,000 crores. Brookfield has filed the preliminary placement memorandum, in terms of which India Infrastructure Trust, an InvIT set up by Brookfield as Sponsor and 90% investor, will invest Rs. 13,000 crore to acquire the East West Pipeline (“Pipeline”). As a part of the transaction, the InvIT will acquire 100% equity interest in Pipeline Infrastructure Private Limited (“PIPL”) which currently owns and operates the Pipeline. The reserved capacity reduced to 33 MMSCMD against the 56 MMSCMD. Any unutilized capacity payment by RIL will be the difference between Rs. 500 crore a quarter and actual revenue earned by PIPL. The next review of tariff in April 2020 will also consider upward revision to tariff arising from the determination of lower revised capacity of the pipeline. Considering the new investments in the upstream sector in the KG basin, and the growing LNG imports, ability to swap gas, the average volume expected to be transported through the pipeline is expected to be significantly higher compared to the current levels. RIL will be entitled to a significant participation in the net earnings of PIPL under the mechanism specified in the pipeline usage agreement. RIL’s current investment in preference shares valued at Rs. 4,000 crore to continue and will be converted into equity at the end of 20 years. Further, at the end of 20 years, RIL has the right to acquire equity shares of PIPL held by the InvIT at an equity value of Rs. 50 crore.